We have the perfect gift to commemorate those special Wedding moments! 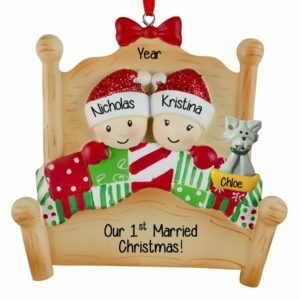 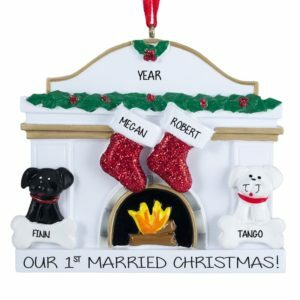 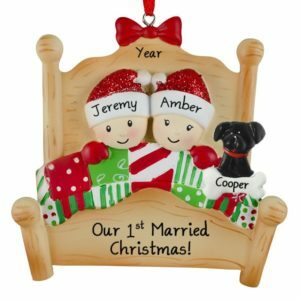 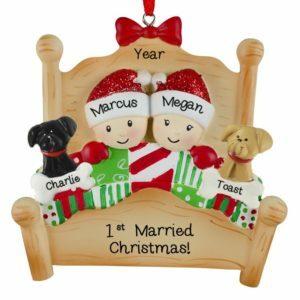 Is it your “First Christmas as Mr. & Mrs.”? 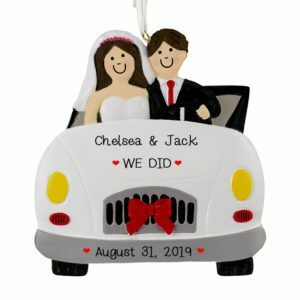 Then you are in the right place to find that perfect memento for such a life-changing occasion. Browse our huge selection of resin, dough, and glass ornaments to find the one that captures the occasion. 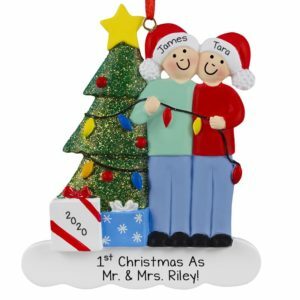 Personalized Ornaments For You will have one of our experienced artists hand personalize your ornament. A new marriage is the beginning of new traditions. 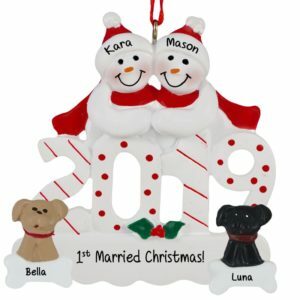 Add an ornament every year and create a Christmas tree filled with keepsakes and memories! 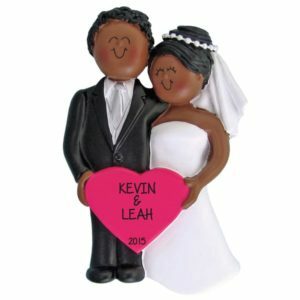 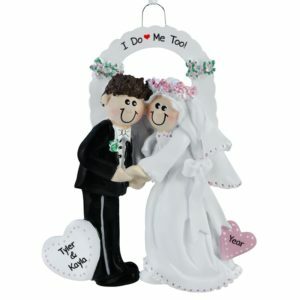 Our Wedding category is extremely popular and we are always adding new and exciting wedding ornaments. 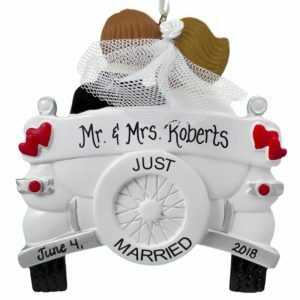 Our ornaments are the perfect wedding favor or gift topper! 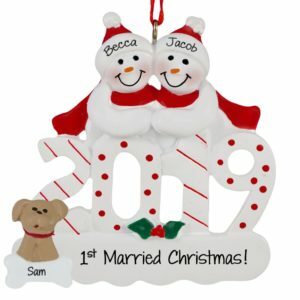 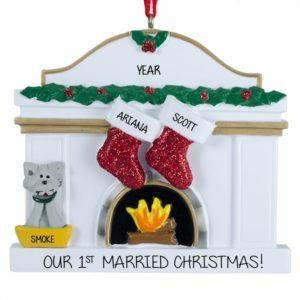 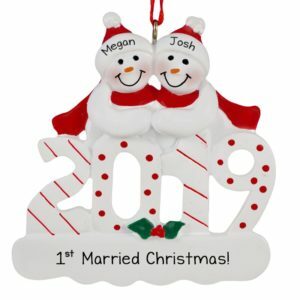 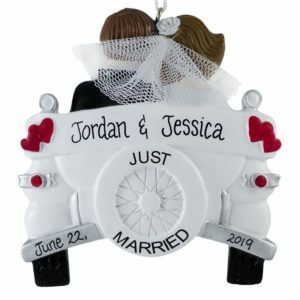 If it’s the newlywed’s “First Married Christmas” or they are “Just Married!” we can’t wait to create that unique, one-of-a-kind gift that will hold a sweet sentiment of love for a lifetime.